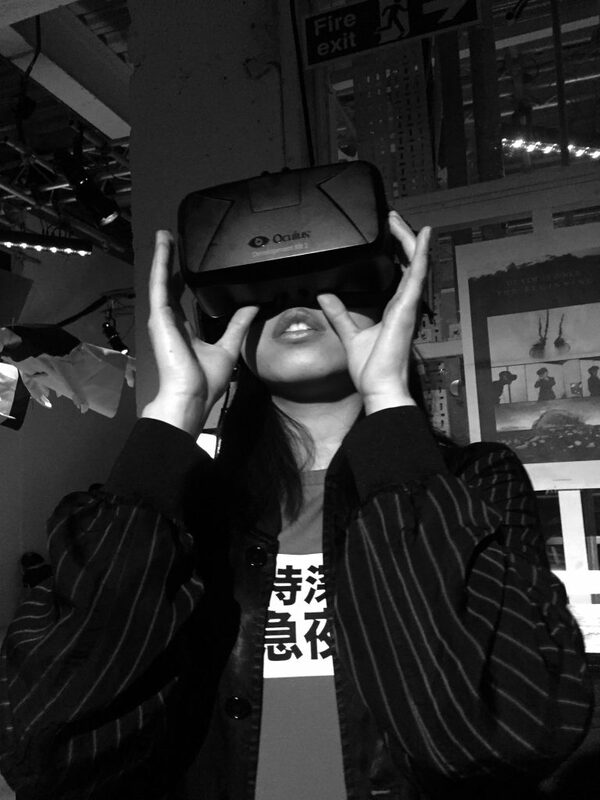 The Art Conference, a two-day festival for art, tech and media professionals held 23rd-24th July in Bermondsey’s Ugly Duck building, has just released details of the exhibitions, events and activities that will be free across both days. The entire 19th-century warehouse’s groundfloor will play host to a large and varied collection of exhi- bitions and experiences, blurring the boundaries between technology and art. says Californian curator Tina Ziegler. Festival-goers will step into the minds of each artist in a very literal sense. 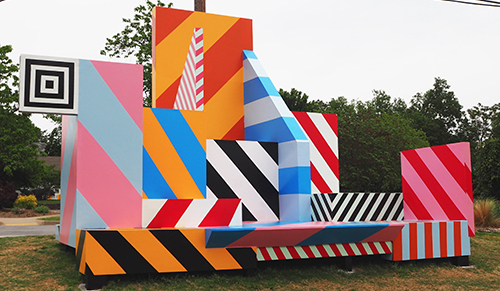 Examples include: a mesmerising light construction built across the length of a corridor by UK artist Maser; an installation of original paintings becoming part of a 50’s noir hotel room by ne artist Colin McMaster; an underwater ambient cross-section designed by mural artist Will Vibes and virtual reality booths simulating life after death, created by Mexican artist Jose Montemayor. Even London’s phone boxes have been subverted and repurposed for thoughtful social commentary for New Yorker Dan Witz’ ‘Breathing Room’ project. Alongside the large-scale exhibitions, visitors can buy limited edition artworks and enjoy the outdoor food court for world cuisine and social bar areas. Artists exhibiting at The Art Conference include Will Vibes, Dan Witz, Tinsel Edwards, Maser, Colin Mc- Master, Jose Montemayor, Mr. Penfold and Robert Montgomery. 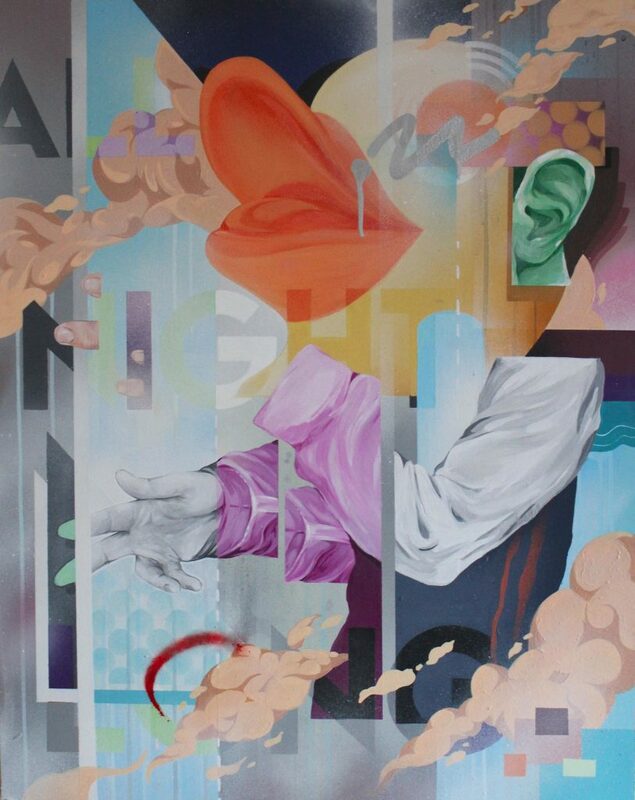 Born in 1957 in Chicago and currently based in Brooklyn, Witz’s extraordinary, o -kilter street art has won numer- ous accolades and grants, exhibited in galleries and museums worldwide. Witz is exhibiting Breathing Room, drawing on past activism projects with Amnesty International, He brings new perspectives and a profound message to the none-more-British red telephone box, promoting inner peace and tolerance in an unexpected setting. 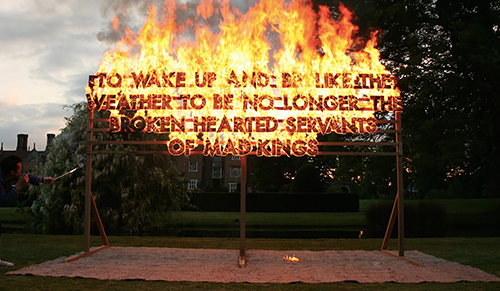 Montgomery is a Scottish-born, London-based sculptor and poet known for his site-specificinstallations created from light and text, often installed illegally amid industrial and urban sites. Montgomery brings his critically acclaimed 3D light architecture to TAC, encouraging visitors to experience a tender interplay of poetry, public urban intrusion and an understanding of space. Celebrated Gra ti artistVibes works across a variety of texture, shape and form, building layers to create movement and energy. Vibes invites TAC attendees to not only view a collection of his paintings, but to literally step inside them too, trans- forming his share of the exhibition hall into an immersive twilight scape deconstructing the brutal relationship of marine life and polluting waste. Seiler is a New-York-based artist and activist known for his critique of the social e ects of advertising on the shared public psyche. Seiler’s ‘Action Art’ brings stunning ‘augmented reality technology’ to the hall – participants need simply to pick up a tablet on a specially-constructed podium to change the scenery, art and atmosphere around them. 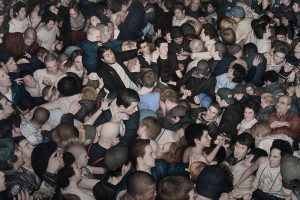 Belfast-born, McMaster has had his unique take on pop art exhibited at art fairs and exhibitions in Glasgow, New York, Miami, London Dublin and Belfast. McMaster will recreate a 50’s noir motel room inside the hall, part theatre set, part immersive portrait – a unique opportunity to step directly inside an artist’s mind, and a beautiful twist on reality. 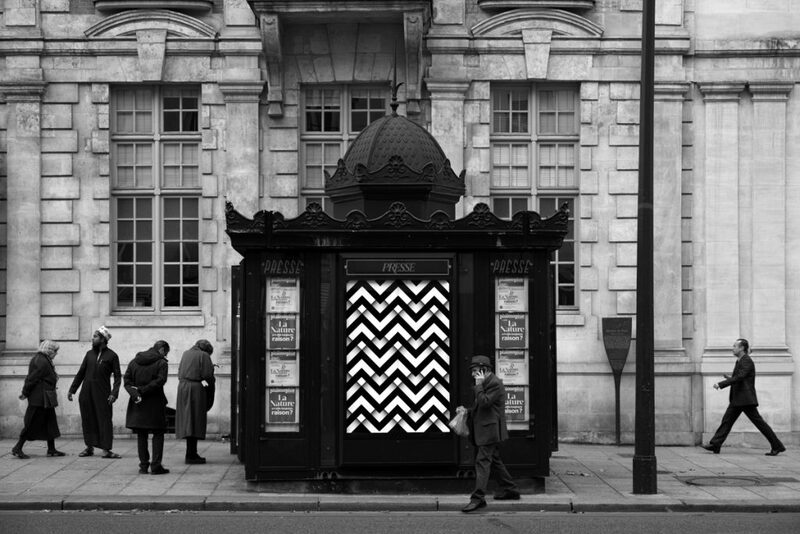 Edwards is a London-based artist and co-founder of A-side B-side Gallery in Hackney Downs. In 2015, her work was selected to be part of Dismaland, Banksy’s ‘Bemusement Park’. Edwards pulls no punches with a stark, poignant commentary on the capital’s rapidly rising house prices – estate agent signs liberated from the streets they litter and the language they peddle have been subverted to tell the sto- ries that matter more: those of the city’s residents. Montemayor is an emerging Mexican photographer and visual artist, recently graduated from London College of Fashion with a masters in fashion photography. Montemeyor dreamed big with his new Virtual Awakening project, using cutting-edge software and provoca- tive subjects to draw attention to negative cultural conditioning. Viewers will nd themselves in the middle of that dream through custom-designed tech, providing a portal to an altogether di erent take on reality. Hailing from Ireland and residing in the USA, Maser creates large-scale mural work, collaborating with the likes of musician Damien Dempsey, JR, Connor Harrington and Fintan Magee. Most recently he was invited as one of 11 selected artists to produce a lm accompanying the songs on U2’s 13th album. 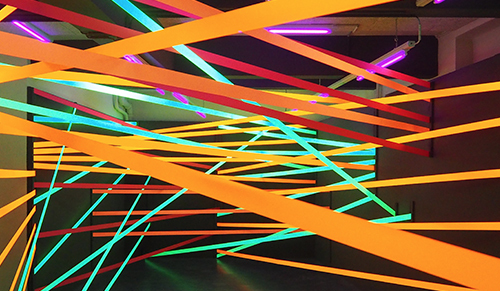 Maser will transform the tunnel at Ugly Duck into an immersive and visually impressive neon light installation. This entry was posted in EXHIBITIONS, NEWS and tagged TAC01, The Art Conference. Bookmark the permalink. 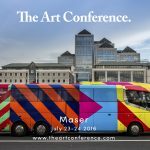 The Art Conference, focusing on the worlds of technology, art and culture launches in London this summer.